Hi decor8 readers, this is Mel and I’m a new decor8 columnist based in Stockholm, Sweden where I will bring you the latest interior news from this part of the world. I thought I’d kick off with something that has started a lot of buzz in the interior world recently. 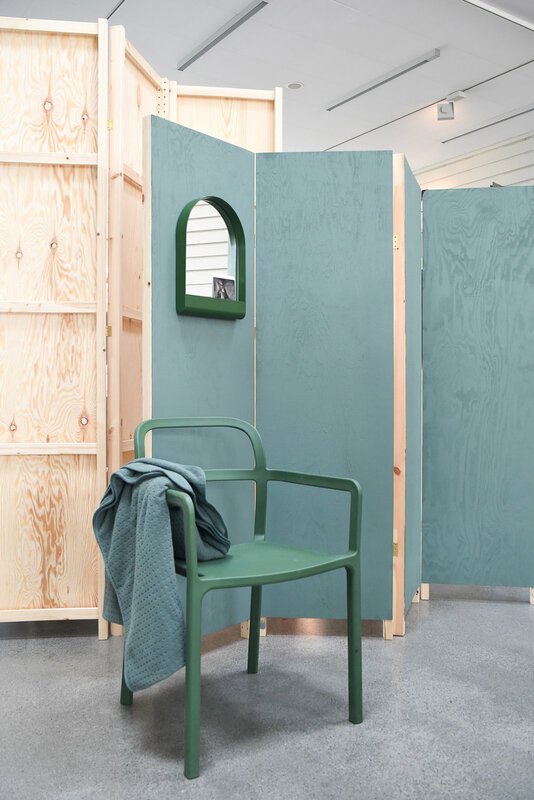 As you heard here from Holly’s sneak peeks, furniture giant, IKEA, is soon launching a creative collaboration that they’ve been working on with the celebrated Danish design company, HAY. From the moment I heard about it, I, like so many interior lovers couldn’t wait to see what the two would create together. On Tuesday I had the opportunity to do just that and attend the press launch to view the collection before it hits the stores in Europe on October 6. 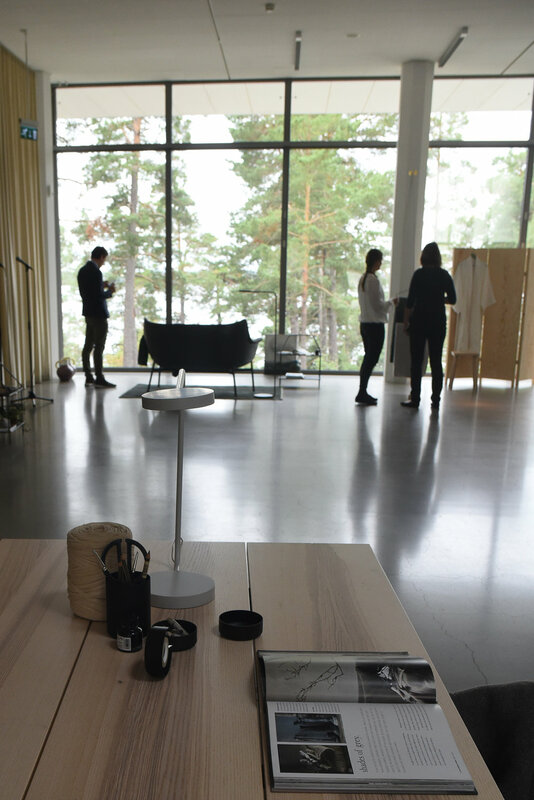 The event was held at Artipelag, a stylish gallery perfectly set among pine trees in the Stockholm archipelago. I’m so excited to be sharing with you what I saw on the day. As decor8 readers, I know you’ll love it! Viewing the collection was one wow moment after the other; it’s stunning and being a big fan of HAY, I can say that it is very true to brand. Something that I did wonder about, and I’m sure that you’ll all be very happy to read, is its affordable price point, hovering somewhat around IKEA’s mid-range. 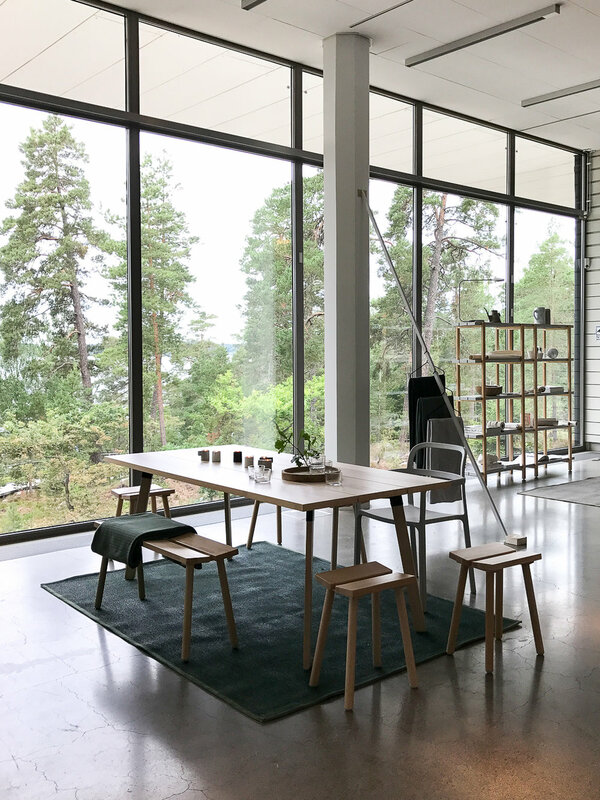 YPPERLIG, which translates to “excellent”, is a collection true to Scandinavian style that celebrates basics with design and a timeless quality that ages beautifully. You will find larger furniture pieces for the living and dining, along with smaller decorative and practical items for the home. There are a few standout pieces for me, the top of the list being the mirrors in three different styles, each in their own colour of burgundy, green or white. I have been on the lookout for something edgy like this for our small bathroom for a while, but either of the styles would also make a great statement piece in the entry for those quick checks before heading out the door. 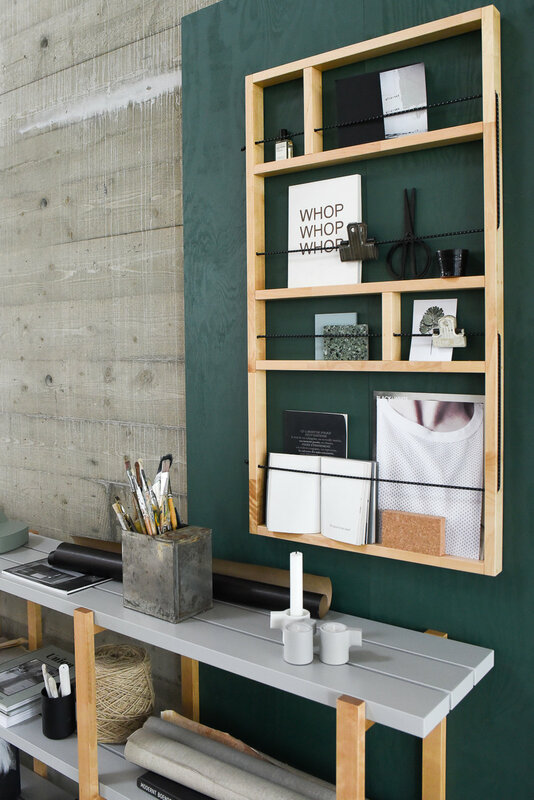 I love the idea of the decorative shelf in birch above a desk, or as a smart place to stow away magazines and papers. It looks fantastic styled here in front of the solid green. Another favorite for me would have to be the boxes, a sweet way to hold little trinkets around the home and something that you can always find a use for. A very unlikely yet fun addition to the collection is the updated FRAKTA shopping bag. It’s the same size and use of sturdy material; the big change is the play with color and texture. The end result is a HAY interpretation of probably the most iconic IKEA pieces and the good news is that this will sell for the same as the original blue bag. I wouldn’t say that it’s an unlikely collaboration; in fact it makes a lot of sense. Both brands have a strong appreciation of design, yet for different markets. 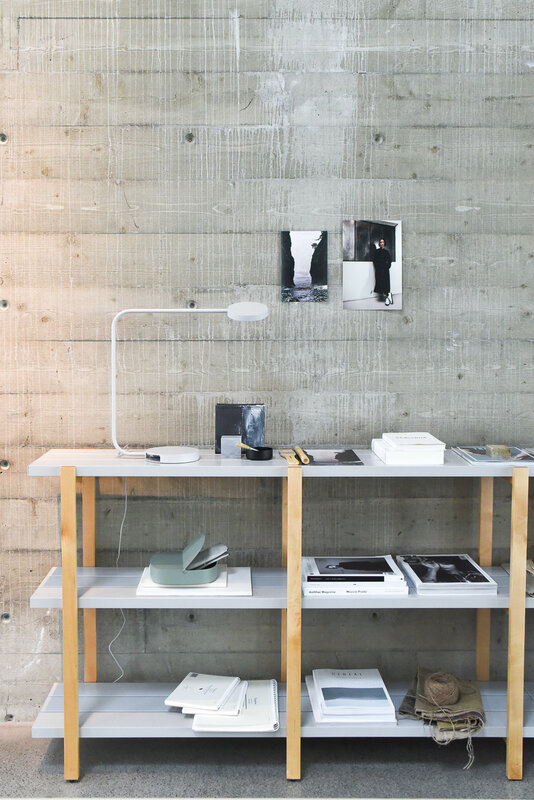 Rolf and Mette Hay, the husband-and-wife duo behind HAY, call it a “mutual exchange of skills”. 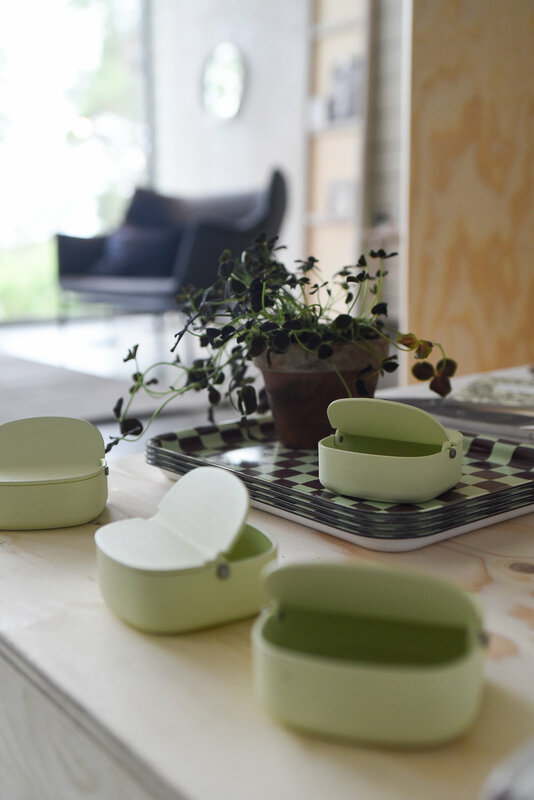 Here was an opportunity for them to make some of their designs more accessible to the public by using the simplicity of the IKEA supply chain. It was also a smart move for IKEA. While they’ve always had great and clever designs, teaming with such a coveted brand was sure to get some serious attention. I have no doubt that the IKEA stores will be full of design savy shoppers taking advantage of this exciting collaboration when it’s released October 6. Going To Helsinki and Speaking at Habitare!